On Thursday 20 September, as the “Australian Gun Safety Alliance” launch was failing to get any media attention whatsoever, right on cue The Guardian tried to help them along with a breathless article under the headline “Gun lobby accused of dirty tactics after anti-gun group’s Twitter account hacked”. Posts written by hacker claimed anti-firearms group tried to block Port Arthur massacre investigation. 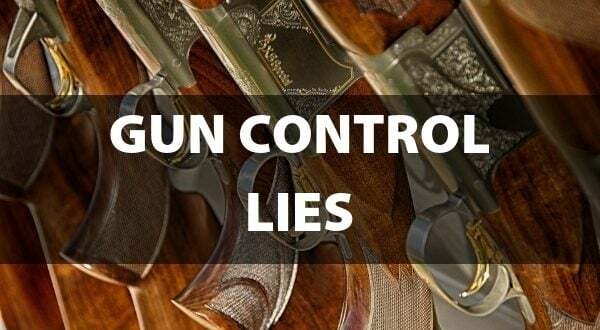 An anti-gun group has accused the firearms lobby of hacking its Twitter account and writing posts that claimed the group was funded by George Soros and had worked with the “deep state” to block investigations into the Port Arthur massacre. 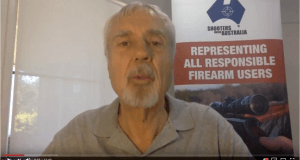 While the hack appears to have occurred earlier this month, Lee only became aware of the breach on Wednesday night when the imposter posted a tweet about the new Australian Gun Safety Alliance. The alliance was launched on Wednesday night by the parliamentary Friends of Gun Control, headed by Labor MP Andrew Leigh and Liberal John Alexander. The alliance includes members from public health organisations, the Blue Ribbon campaign, medical associations and child safety associations. While Lee had been invited to the event, she didn’t attend because of a previous commitment. She said GCA was a signature to the new gun safety alliance and “fully supports the new body”. However, on Wednesday night a tweet from GCA’s account said the group was “deeply saddened” not to be invited to the launch. Lee blamed members of the “gun lobby”, which she claimed was attempting to “sabotage” the launch of the Australian Gun Safety Alliance. She said the hack would be reported to the Australian federal police. After being made aware of the false tweet, Lee said she realised the GCA account had been hacked some time ago. 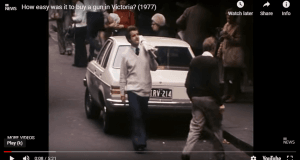 Earlier in September a tweet from the group’s account stated that it had been working with “the deep state” to ensure that an inquest was not held into the Port Arthur massacre “and we will continue to do so until all of the witnesses are dead”. Claims the Port Arthur massacre was in some way manufactured are popular among far-right conspirators. Earlier in September, the hacker also tweeted a fake Change.org petition claiming the group had received a $100 million donation from George Soros. Soros, a prominent business magnate, philanthropist and political activist, is also a lightening rod for a myriad of far-right conspiracies. Oddly, by the next day, the article had vanished. So, what exactly does “pending investigation” mean? Well, it turns out that it is a polite euphemism that the Guardian use to cover up some unbelievably shoddy journalism. What happened is …when you go to the Gun Control Australia website and follow the link to their twitter page, their twitter account is the rather oddly named “Gun Control Party” (perhaps revealing their political aspirations?). Not only did Ms Lee make misleading claims about hacking (the twitter account in question was very obviously never hers to begin with), she has also wasted the Australian Federal Police’s time with a publicity-seeking complaint about an act that never occurred. 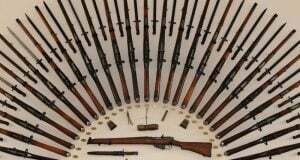 Worst of all, the Guardian – who seem to have Gun Control Australia on speed dial – were so incredibly hot to trot to run an article about the evil gun lobby that they didn’t even bother to conduct the most basic fact checking of Ms Lee’s obviously bogus claims (something that takes all of five minutes on the internet). “Pending investigation”? Better just to call it what it is: an attempted media hatchet job that backfired badly.